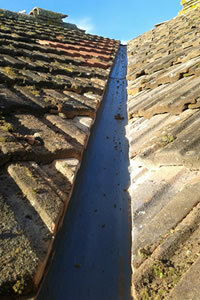 One of our customers called to ask us to address a leak they had, they thought it was coming from the valley. 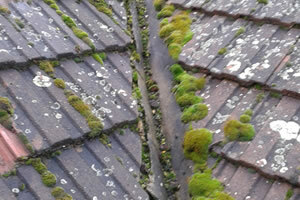 Once the customer called us, we immediately could see that this has a serious moss infiltration problem which affected the valleys’ integrity. Once we started stripping the valley we could see the damage the moss had made. 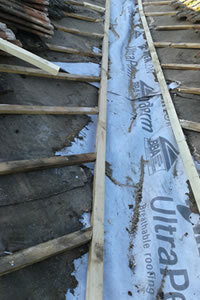 Note the battens position, the battens had been nailed through the valley trough. The misplacement of the batten had continued all the way to the ridgeline. 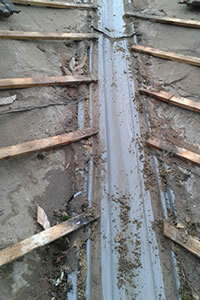 After stripping the old valley troughs out, we laid new breathable membrane, note that the new membrane needs to be tucked under the roofs felt, also, lay from bottom to top to overlap the membrane. 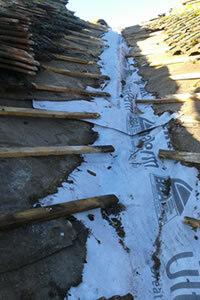 As opposed to the batten position in STEP 2, we need to create a frame for the new valley to reside. 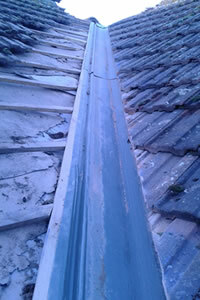 This also stops tiles kicking up as the battens are now at the same level. 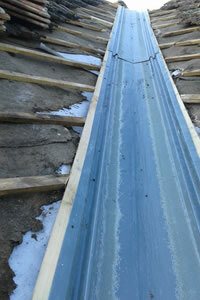 New valley troughs installed, pinned at the edges to the new framework. Notice a small lip in the edge of the valley, use this lip to pin the valley, dont pin or attach the valley anywhere else or you will affect it’s integrity. 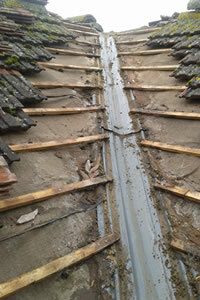 Now the valley framework has been repaired correctly and the new trough installed we can start relaying the tiles. 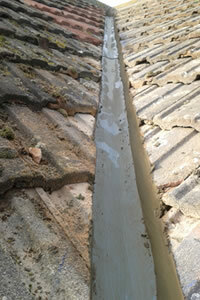 The tiles have been relayed and recut to the new valley width. Try and keep the tile lines straight. Final job is to cement the new valley in, note how much wider the valley is now, and how much more efficient it will be at draining water.